Have you ever wondered what makes people tick? I’m an observer and I have often ask myself these questions. Why do people do the things they do, act the way they act, and feel the way they feel? Have you ever wondered about the same things? I have come to an understanding about this. I believe that it’s because they are living their story and their story is based on their beliefs. So, a belief is a habit? In my explanation of what affirmations are, I shared with you the concept of neural pathways in the subconscious mind. Repetition forms those neural pathways. Likewise, that’s the same way a habit is formed. Do anything long enough and you form a habit, or, a belief. Building blocks of your life. When you form a set of beliefs they serve as the building blocks of your life. Be they big or small, when you believe in something you have placed a level of commitment to it. Simply having an idea about something doesn’t necessarily make it a belief. Your agreement or disagreement to an idea is what determines if you have a belief about it. Ideas you have a commitment to, and that you support. The views and opinions that you have accumulated through repetition. Your attitude about, the way you think about, and the way you look at things. The way you approach life and your overall outlook on life. What you believe is what you stand for. Most people who examine their core beliefs are rather shocked at what they find. Most of us are walking around unconscious. We do things habitually without even noticing. We react to certain triggers because that’s how it’s always been. 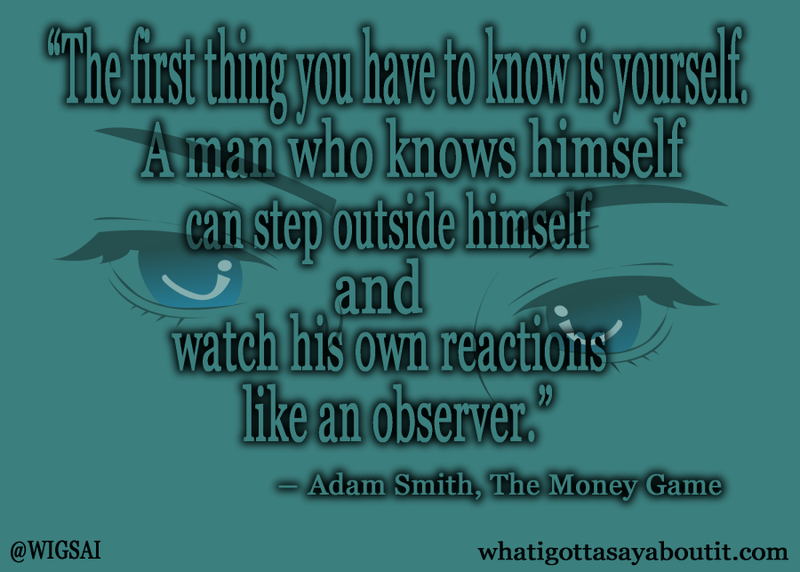 The observer is your conscious mind. The conscious mind is the part of the mind that has not been programmed by habitual thought patterns. While changing habitual thought patterns can be difficult, it can be done. It just takes some practice. But, you can witness when you are thinking irrational thoughts. Also, you can spot outdated beliefs that no longer serve you. You simply must be still. One way to be still is to practice meditation. Unfortunately, there’s a misconception about meditation. Meditation is thought of as a way to quiet the thoughts in your mind. However, that’s not completely true. It can be used as a way to Witness your thoughts. While in meditation, thoughts float into your mind and you get a chance to evaluate them. You get a chance to question their validity. Give it a shot. When you become aware of what you believe it can help you on your path of personal development. Be aware of how you interact with others, and how you react to daily events. I encourage you to leave comments. I’d love to hear what you gotta say.